Drexel’s School of Education is partnering with the School District of Philadelphia to support Drexel’s Philadelphia Teacher Residency Program, which will provide salaries, benefits and scholarships to aspiring STEM teachers. The agreement will support up to 20 students who will spend 12 months working side-by-side with district teachers while taking Drexel classes required for Pennsylvania teacher certification in middle school and high school math and science subjects. Upon successful completion of the program, students will be guaranteed teaching positions in Philadelphia schools. 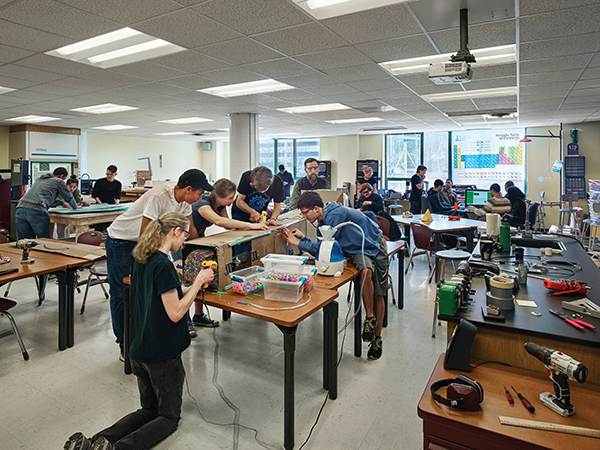 The Philadelphia Teacher Residency program is a 12-month blended learning program. Students take an accelerated course schedule while working alongside a mentor teacher trained and selected by the School District and the University. Students can apply for teacher certification in middle level (grades 4–8) math and science or secondary level (grades 7–12) in biology, chemistry, earth and space, general science, mathematics and physics. “Our teacher residency model is a tried-and-true program that sets teachers up for a long and rewarding career in teaching, and we are excited to prepare a new cohort of teacher residents,” says Sara Ulrich, associate dean of Teacher Education and Undergraduate Affairs at Drexel’s School of Education.